LM Movement Travel — Salt Design Co.
LM Movement Travel is a luxury travel company operating from both Toronto and Vancouver. 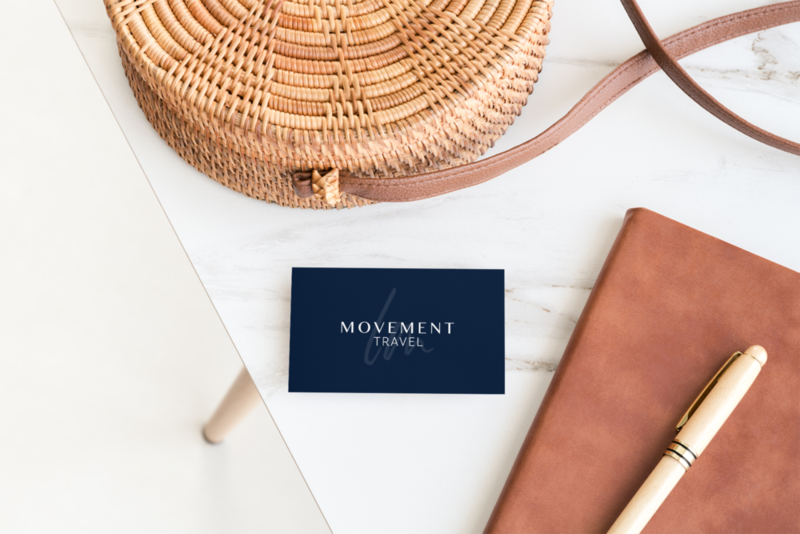 With a focus on providing all inclusive active trips that incorporate luxury resorts, cultural experiences and delicious food, Movement Travel needed a modern, rich brand that spoke to the oceans they so often visit, and the luxury that makes the unique in their industry. In creating the brand we develop a main logo, icon logo and sub-mark stamp with deep navy blues and an aqua to compliment it. We also worked with co-founders Mel and Lisa to build an introductory PDF presentation that can be sent to future business partners, hotels, resorts and more. The goal of the PDF was to introduce themselves to companies with ease and lots of visuals. See each aspect of our project together below, which included a range of brand and collateral pieces, and check out their website to see the brand in use!